WHO ARE WE: Action Sports Maui is a family owned and operated watersports center. Created by career watersports instructors for the purpose of providing the very best watersports instruction. Our kiteboarding school was created by kiteboarders for kiteboarders. We come from a background in watersports instruction. We are committed to education, and sharing our knowledge and experiences with our students. Action Sports Maui is the only school in Maui with an IKO examiner as a school owner, who has trained many kiteboarding instructors locally and internationally. Action Sports offers the complete full-service kiteboarding education experience. From training to equipment and ongoing assistance in every aspect of the sport and lifestyle. VALUES: At Action Sports Maui we do not believe in gimmicks, We believe in training, experience, proven techniques, and personalized attention. This combined with ideal weather conditions and the and always using the latest equipment. Our goal is to make your kiteboarding experience better. 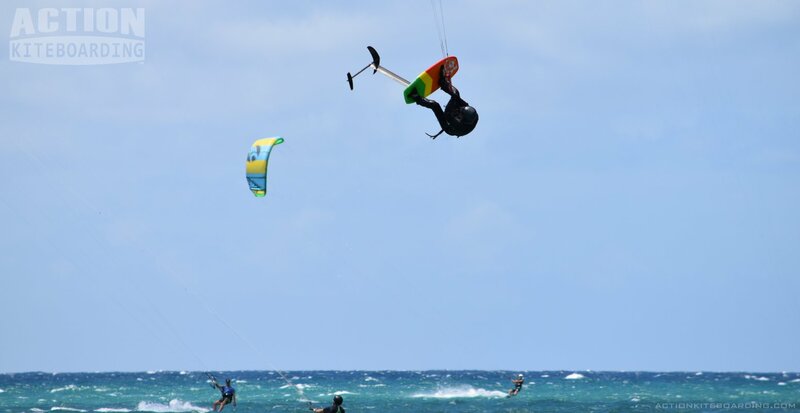 WHAT WE DO: Action Sports Maui, is Maui’s original kiteboarding center, and the largest school of kiteboarding in Hawaii. Teaching the sport of kiteboarding full time since 1997, has given Action Sports unmatched experience, and depth to the lesson program. The latest techniques utilize the best equipment developments and hands-on training methods. Action Kiteboarding lessons cater to every level of rider from beginner to advanced. Action Sports Kiteboarding School offers the most complete and comprehensive kiteboarding courses available. This will get you kiteboarding confidently & safely, in the shortest amount of time possible. And we make the learning process fun. We help you choose the perfect equipment for your needs. At Action Sports Maui kiteboarding school you learn on the latest gear with the most up to date teaching techniques. LOCATION: Our kiteboarding school is located at the world famous “Kite Beach Maui” on Maui’s north shore. The Hawaiian Islands have the distinct advantage of being located in the trade-wind latitudes. These “trades” are then funneled through the island’s main valley in a “venturi” effect which improves their direction and strength. This makes Maui the best island in state of Hawaii for kiteboarding. WEATHER: The reliable Hawaiian trade-winds blow consistently, which is ideal for kiting. Maui has kitesurfing weather conditions year-round, peaking in the summer months. Maui also has more kitesurfing days per year than any other kitesurfing destination in the world. The water is a warm 78 degrees (25.5 C). WORLDS FIRST: Action Sports created the world’s first full-service Kiteboarding School. Leading the way in kiteboarding instruction since the beginning. Working with the pioneers and innovators of the sport, created the basic safety protocols still in use today. Action Sports was the birthplace of both the KISS and KITES learning systems. Action was also the original center for kiteboarder instructor training and has trained the largest number of kiteboarding students & kiteboarding instructors in Hawaii. EVOLUTION: Kiteboarding is constantly evolving, and while our original training techniques served us well, our newest techniques work even better. ASM in cooperation with its international instructors has developed and tested many of the latest instructional methods used by today’s professional schools. Today’s students have more control, confidence, motivation, and get a lot more water time. Modern methodology gives students the skill set they need to become fully fledged independent kiteboarders. DEVELOPMENT: Constant innovation is required to keep pace with the demands of today’s students and equipment. Action Sports has a rigorous training and retraining schedule. Every year many students return for more advanced levels of training. Action Sports has taught thousands of kiteboarders over the years. Most of whom have evolved into accomplished kiteboarders, instructors or professional kiteboarders. AFFILIATION: Action Sports Maui is home to the International Kiteboarding Organization’s (IKO) teaching standard, and Maui’s only fully affiliated school member of the IKO’s worldwide School Network. Kiteboarders of all levels come to Action Sports to be trained and Certified from beginner (level 1) up to instructor trainer (IT). The I.K.O. system is the most widely accepted standard for, kiteboarding Instruction that covers all levels of kiteboarding. The emphasis is on safety, hands-on experience and technical information. Our Instructor team includes world champions, professional kitesurfers and Kiteboarding Instructor Trainers. David Dorn, certified IKO instructor trainer /examiner, is also the officially Certified Training Master (ID # 9405-1343) with the IKO teaching System. Action Sports follows the safety guidelines of the industry’s most respected Training System. INTERNATIONAL: Action Sports is a premier IKO affiliated school and instructor training and certification center. And part of the IKO’s worldwide network of certified affiliated kiteboarding schools. IKO allows students and instructors to pass between different schools to continue their education. Many Action Sports Instructors travel to international kiteboarding destinations and experience a variety of locations. Action Sports continues to participate in international instructor forums, and gatherings, to discuss the latest training techniques from around the world. Action Sports also offers Instructor training courses (ITC’s) both nationally and Internationally. The IKO is recognized and represented in over 40 countries, and is the biggest international certification system. ACCREDITATION: The IKO International Kiteboarding Organization, is the worlds most respected kiteboarding training & certification organization represented in 40 countries, The IKO has a worldwide network of affiliated kiteboarding schools. Action Sports Kiteboarding School is a fully accredited and affiliated IKO Training Center (#372). Every Action Sports Kiteboarding Instructor is fully trained and Certified by the IKO. And is also certified in First-Aid and CPR. (*Beware of the many untrained imitators with bogus credentials making false claims). C ERTIFICATION: Only IKO Students automatically receive an IKO Certification Card at the completion of their training. With your IKO card you can continue your training in any one of the certified schools, qualify for kiteboarder insurance, & rent equipment appropriate to your level. With your card you are eligible to become a member of the IKO Organization, Get discounts on equipment. 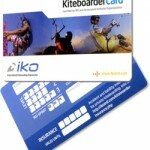 *IKO Membership Program includes Kiteboarder Insurance and many other exclusive member benefits. When you receive training from the IKO network you join a worldwide community of thousands of kiteboarders and become part of the IKO family. PROGRESSION: The Action Sports Program has the most technically advanced and proven teaching system available. The skill set taught to beginners has the essential core elements which are needed for more advanced levels of riding. With the emphasis on control skills the students gain more confidence and learn and progress faster. Safety and retention has been improved making the training more hands on. Students learn more by doing and practicing the real skills. Improvements in equipment and training tools have made the sport more accessible than ever. That is why you are now starting to see more women and children entering the sport. Kiteboarding still remains a technical sport that requires training safety skills. Lessons are a still a must. EQUIPMENT: At Action Sports Maui kiteboarding school you will be learning on the very latest kiteboarding gear full selections from the worlds leading brands. We always use the latest Kites in our fleet, and available to our students. Our equipment is tested, and tailored to bring provide performance, safety and reliability. We use Naish Brand kiteboarding gear because they have the best quality and performance available. Naish was the first sailboard sailmaker to become a kite manufacturer. They created the first kite brand under the patent, that manufactured kites independently from the original inventors/designers (who made their prototypes in a tent factory). We were the first school to use Naish kites, and we have stood by them ever since. When you have a product this good why change? Consistently using the best quality gear has always given us the best results in the long run. Good gear is an advantage to every student regardless of their level. We test and compare all the latest kite products to ensure that we are thoroughly conversant with the current spectrum of available equipment. Our team riders also train on the new Naish products before they are released to the public so we can understand their capabilities and how best to utilize them in our future training programs. KITE DESIGN: The equipment we use today is far superior than any equipment that was available in the early days of the sport. There was a major revolution in kite designs that made them easier and safer to use. First released in 2006, the Bow Kite System has now become the workhorse of the kite world, because of their ability to fully depower at any time, giving the rider total control. The kites are more intuitive and safer, and cut down on learning time. HI-DEPOWER KITES: Since their introduction Bow Kites have developed and evolved. We are now on the 12th generation of “Bow/SLE kites. Naish currently produces several advanced kites designs based on the DELTA concept. The Deltas have a distinctive swept-wing plan shape that gives several advantages to the rider; easier relaunch, more stability in strong wind, and better balance and feel. And as a bonus they have Less bar pressure, and that means less fatigue! These kites can be flow with one hand, and they are intuitive and responsive. We find that everyone who tries them loves these kites for very good reasons. Not only great for our beginners, but their predictability and intuitive feel also makes them a great kite for intermediate and advanced riders as well. We always have the complete quiver of the latest equipment available for our students to use. LOCAL SCENE: At Action Sports we have built a community of kiteboarders around our love for the sport. As the first school we have taken on a responsibility to the community to make the sport safer, and to foster responsible kiteboarding practices. We helped create a working system on Maui whereby kiteboarding can be enjoyed alongside the traditional watersports, and integrate with the wider community. As pioneers and early promoters of kiteboarding we helped establish high safety standards and solid techniques that we shared with the local kiteboarders, that became the blueprint for the first lesson program as well as the local kiting guidelines. The Safe kiting guidelines were adopted by the local kitesurfing community that eventually became the basis for the local rules and the formation of our local kiteboarding association. KITEBOARDING COMMUNITY: We are proud to be a part of a vital and diverse community of watersports lovers that call Maui home. Since the beginning our philosophy was to creat e a sense of camaraderie and cooperation in the Ocean. Where kiteboarders watch out for each other, and be a safety net for each other. Kiteboarders today are a fairly self sufficient bunch, that usually can take care of their own. But the sense of seamanship and survival skills and cooperation are still passed along through our students and friends. These core values have gradually multiplied and become the underlying elements of kiteboarding etiquette known in the wider kiteboarding community. Promoting safety and education has now the responsibility of the entire kiting community, and virtually any kiteboarder will recommend that any new kiter get proper lessons and training first before attempting the sport on their own. ENVIRONMENT: Action Sports is an original and active supporter of the Maui Kiteboarding Association, and many other community projects like Adopt a Beach, and Community Work Day coastal cleanups, and other environmental endeavors. LIFEG UARDS: Every year Action Sports provides kite rescue training to the Maui County Lifeguards. Our instructor training programs and lifeguard training exercises are combined several times per year to increase the ability of the lifeguards to respond to kiteboarding emergencies with the jet skis. We have also cross trained many county lifeguards on kiting safety, some of whom have gone onto become avid kiters themselves. KITES 4 KIDS: As the sport has matured we have also given a lot of attention to the younger kids and created special programs and camps and clinics to encourage youth in kiting. We are supporters of charity events to raise money for island youth programs. and have summer kids camps. Recently our programs for promoting Women in kiting have really taken off, and we hold regular camps, clinics and seminars to promote women in kiting. KITE CLUB: Action Sports Maui is the now offers ongoing support and extended benefits to our customers through our Kite Club Maui membership program. KiteClub is ActionSports’ social hub, for kiteboarders and friends that provides kite related activities and special events. Every day our Kite Club offers special benefits, facilities & services to members. LESSONS & COURSES: We offer individual lessons, and longer course packages. In private and shared formats. Click on the red “Book Online” buttons to see all of the options including prices and available dates. From there you can browse all the available options or reserve a session.